Hey There! I'm Chelsey Sawallich. I'm a Northern Michigan girl through and through. I am a women's clothing designer, I'm obsessed with podcasts, and my goals keep me awake at night. I love chocolate pudding, I'm an Aries, and I'll pet any animal that passes me. Read on if you'd like to know more! At the age of 12 was when I really discovered my true calling. I've always been the kid with an eye for color and composition, but when I started designing clothes for my teachers in the 6th grade because I didn't like what they were wearing, that should have been my mother's first clue that I'd someday be a designer. During my years of creating, I developed a love of retail and small business. Growing up in a vacation town, Leland, MI, there was no shortage of summer job opportunities. I loved interacting with people and seeing the correlation of spending time and forming relationships with my customers and exceeding my sales goals. By the time I graduated college at the age of 24, I had 10 years of customer service experience and 6 years of retail management experience. In 2012 I combined my love of small business and my craft opened an Etsy shop. When I look back on some of the infinity scarves that I made I cringe. 2012 was a time of chevron and aztec prints. My taste has since evolved and my aesthetic is much, MUCH better! I graduated from the Pamella Roland DeVos School of Fashion of Kendall College of Art & Design with a B.F.A. in Fashion Studies in December 2017. Through Kendall I have participated in countless collaborations with the city of Grand Rapids, have been the Director of the Senior Fashion Show, have directed multiple photoshoots, found my love of industrial sewing and pattern making, and really discovered my passion for product development. My ultimate goal in life is to open a retail location in Leelanau County for my brand, Poppy Things. I want to serve locals and tourists in the area by providing a unique shopping experience. 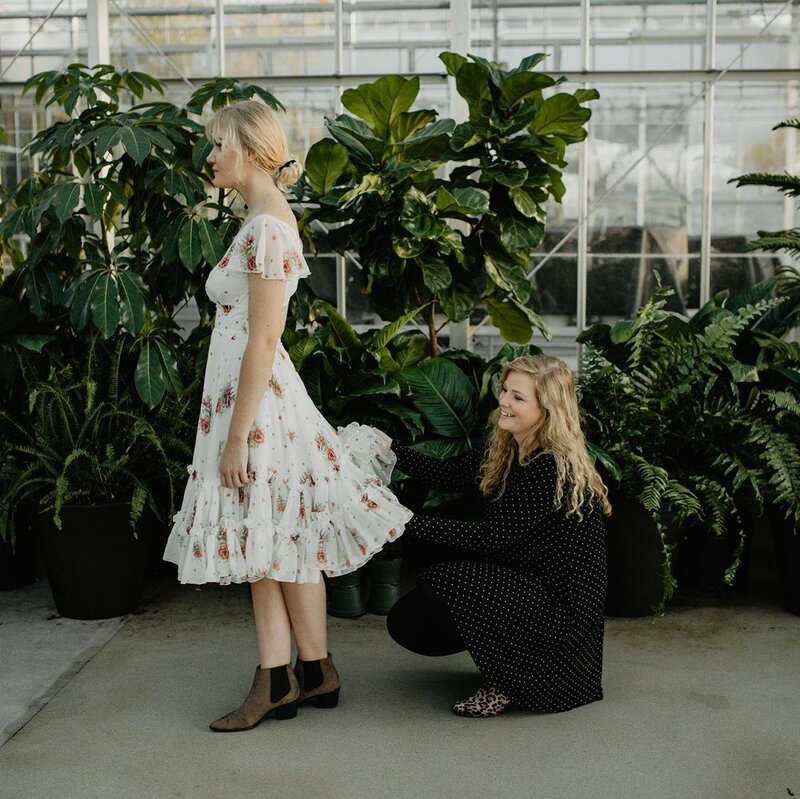 Not only do I plan to have a curated collection of clothing and accessories, but I plan to offer my own Made in Michigan label that features silhouettes and inspiration from around Leelanau County and the Midwest as a whole. I plan to feature local artisans in multiple ways- by collaborations in textile prints and by offering their one of a kind works in store. Thanks for reading, please feel free to fill out a contact form to reach out for any collaborations or inquiries. I am always open to custom work! Shoot me a line! I'd love to hear from you.